The only alkalinized garlic powder designed to negate the effects of stomach acid on alliinase, the allicin-activating enzyme that is destroyed by stomach acid. Most all garlic products advertised to provide allicin or yielding allicin are tested in a neutral pH (water) rather than acid pH which approximates the acidic digestive tract. 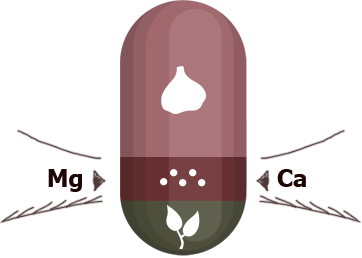 GarlinexTM: Enzyme Activated Garlic roughly provides the amount of allicin (2400-3800mg) produced by a standard-sized clove of fresh crushed garlic in an acidic environment. 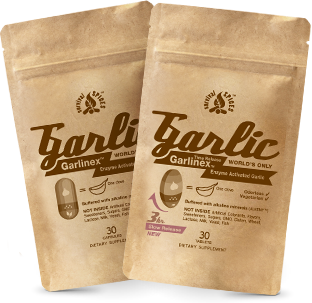 We package our garlic pills in eco-friendly stand-up pouches to minimize size and for an easy on the way. This low cost solution allows us to pass our savings onto you. 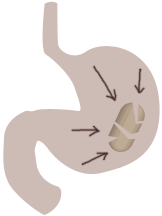 Allicin is produced prior to ingestion upon crushing of clove (enzyme activates allicin). Buffered garlic powder from hight-allicin garlic produces allicin upon intake. 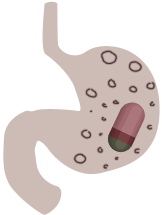 Patented ALKEMY alkaline mineral base protects from being destroyed by stomach acid. 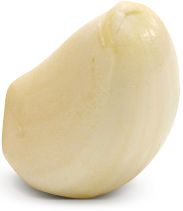 US human study showed the enzymatic production of allicin from Garlinex is equal to a clove of fresh macerated garlic with no stomach discomfort or garlic breath*. Stomach acid destroys enzyme that activates allicin. We test macerated garlic in acetic acid (Vinegar) simulated stomach acid environment. Garlinex™ - Enzyme activated allicin is not destroyed by stomach acid. 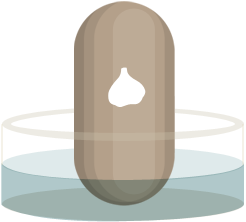 Most garlic pills test macerated garlic in water. Akaline buffered enzyme activated Garlinex™ capsule 2400-2800 mcg (2.4-2.8 mg) allicin per capsule proven by human study (breath test). Allicin also produces hydrogen sulfide gas known for its heart protective properties. 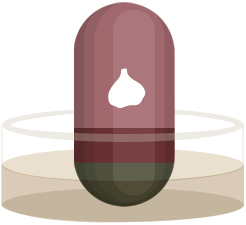 Enteric coated garlic tablet ~3200 mcg allicin if released in less acidic intestines; Source: company data. 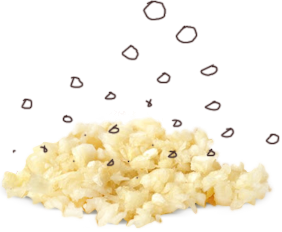 Enteric coating may or may not reliably produce allicin. Aged garlic Provides garlic derivate molecules: S-allylcysteine, S-allylmercaptocysteine, N (alpha)-fructosyl arginine. No allicin- Source: Journal Nutrition March 2001. Also Kyolic Aged Garlic Extract Data. Aged garlic does activate Nrf2.